The Managing Director of Oil Search, Peter Botten announced that Oil Search will donate up to PGK 16 million (USD 5 million) in cash and kind to support disaster relief efforts in Hela and Southern Highlands Provinces. In supporting Government's initial efforts, Oil Search has already made its Moro base available as a coordination hub for relief efforts. Oil Search helicopters and personnel have commenced distribution of initial emergency aid, provided by a range of donors and NGOs and food and supplies donated by Oil Search, to the hardest hit villages, including Pimaga, where over 2000 people who have lost homes and livelihood are sheltering. The damage caused by the recent earthquake is unprecedented, Mr Botten said: "Communities are without basic necessities. We are deeply concerned about the welfare of these communities and are working very closely with the PNG Government's National Disaster Restoration Team and respective Provincial Disaster Committees to provide assistance, in close partnership with other donors, including the Australia and New Zealand Governments. 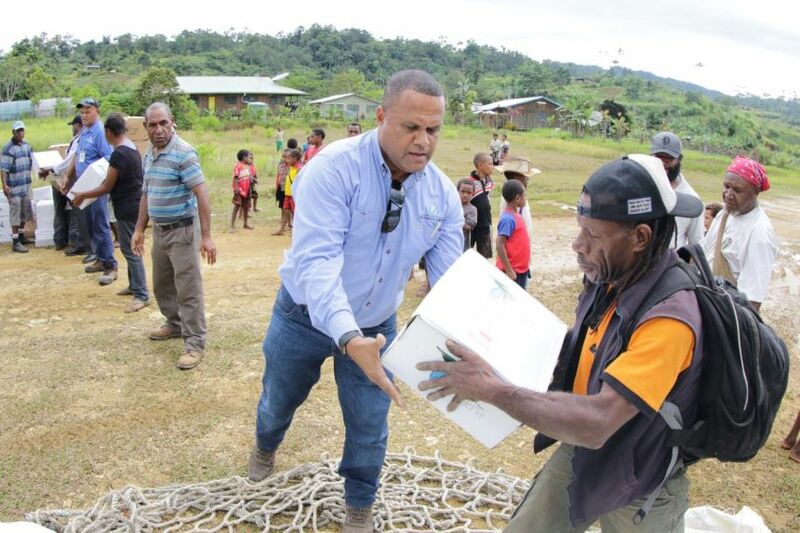 With the important infrastructure in Southern Highlands and Hela so severely impacted by the earthquake, the Moro facilities are an important hub for aid distribution. We want to play our part by providing our facilities, people, aircraft, immediate food and relief supplies in helping Government to address the critical needs of our communities in the Highlands. Our sympathies and prayers go out to all impacted by these tragic events." The Australian Government has begun to fly in supplies to Moro through Australian Defence Force Hercules planes loaded with water, shelter, medicine, cooking pots, bedding, blankets and other supplies. New Zealand's first load of emergency supplies landed today (Monday). Oil Search helicopters have commenced distribution of this material to areas across Hela and Southern Highlands. 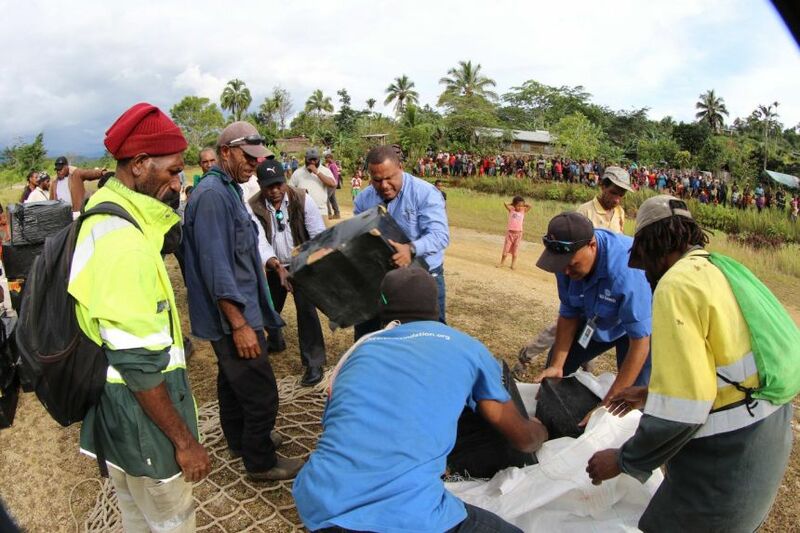 Trukai Industries has donated 20 tonnes of rice and Oil Search has delivered to Moro over PGK 1 million in food packets that are assembled based on international nutritional guidelines. Oil Search is also continuing with separate charters loaded with emergency supplies. These will progressively be distributed to communities in need, over the coming days and weeks. "We have also responded to calls from the Southern Highlands Provincial Health Authority for medical assistance by transporting a medical team to Pimaga, along with emergency medical supplies." 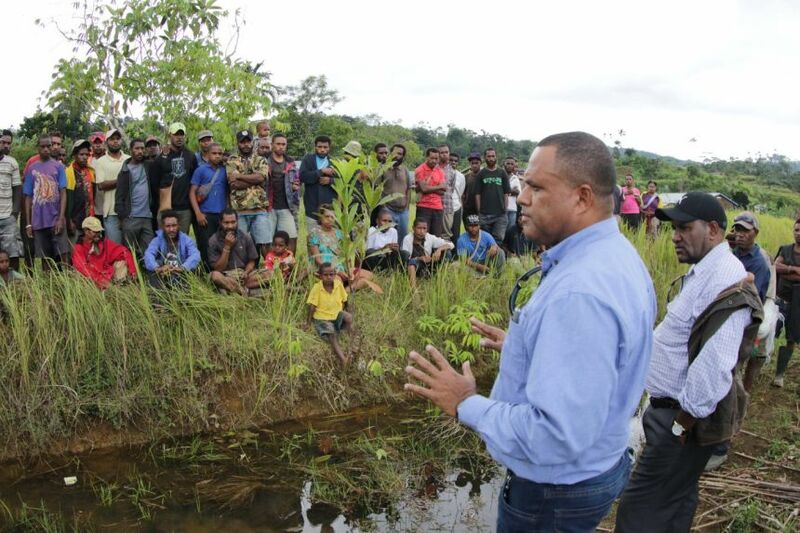 In the meantime, our engineering and construction resources have been sent from Kopi working north and Kutubu working south, to open the Kopi to Kutubu road, as an alternative to the Highlands Highway. This road can become an important route for supply of food, fuel and restoration equipment to earthquake impacted areas. "We will continue to help authorities, where we can, to address the critical needs of our communities in this difficult time" Mr Botten said.